How many dragons do you know? We bet you don’t know any like Marmaduke. He’s different – and that’s how he likes it. In his kingdom, most people and dragons are (whisper it) a bit boring. But Marmaduke will always surprise you! So it’s no wonder that this sparkly dragon is very popular. 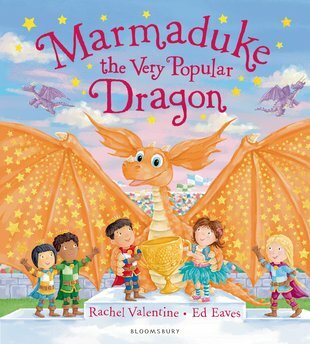 Other dragons, princesses, princes and knights all want to be his friend. It’s great! But one person isn’t quite so happy: his oldest friend, Meg. She feels left out. Has Marmaduke forgotten about her? This tale of friendship, falling out and finding your true self is sweeter than cherry pie.